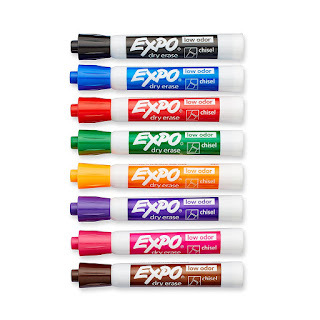 Right now you can snag these Expo Low Odor Dry Erase Markers - 8 Pack for just $6.00 (Reg. $13.49)! Whiteboard pens are available in a variety of exciting colors, and 3 tip styles - chisel, bullet, and fine. Shipping is FREE on orders $25+ or get FREE 2-Day shipping with Amazon Prime.